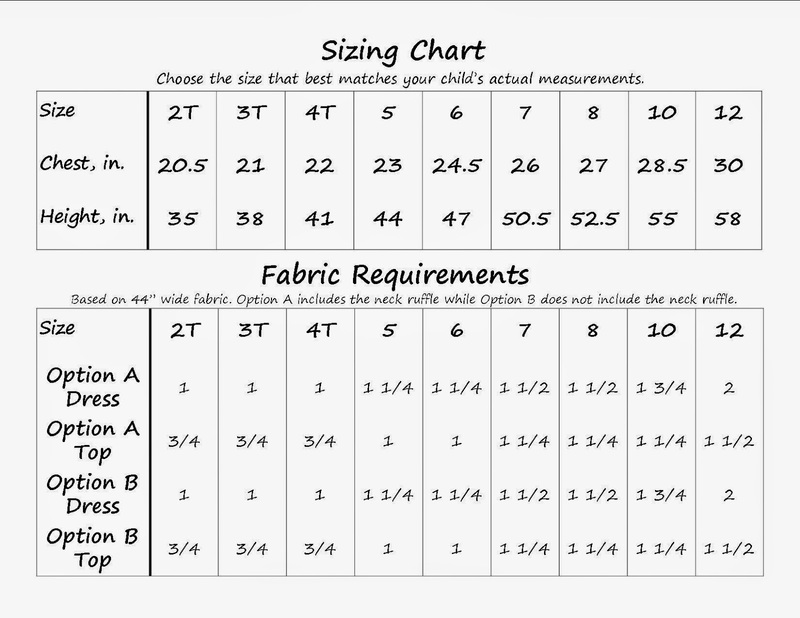 You are purchasing a digital PDF file that that includes detailed color photos, written step-by-step instructions, and the pattern pieces to sew Option A and Option B in both Dress and Top variations. 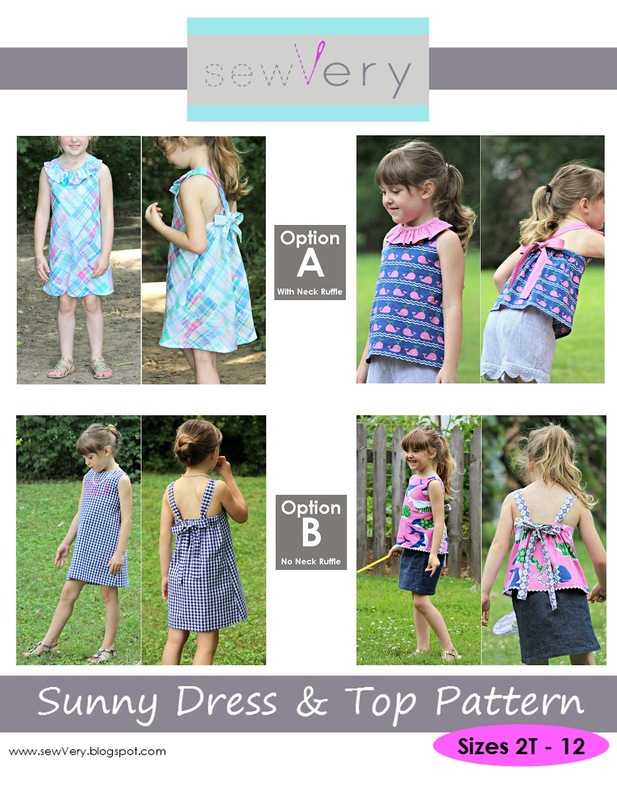 Option A includes the neck ruffle and Option B does not include a neck ruffle. You are not purchasing an actual garment! Note: Please save the file to your computer hard drive, open the saved file, read it in its entirety, and follow the printing instructions included in the pattern. My daughters' loved the dress. 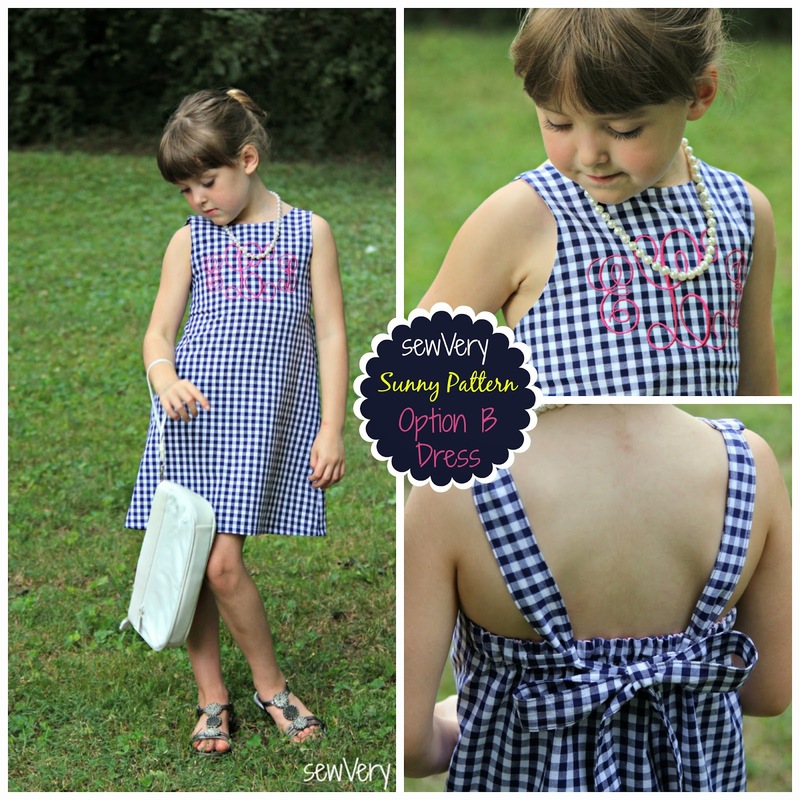 It fits well and is an easy sew (even for a beginner like myself). I'm glad you and your daughter like the dress so much! Thank you for letting me know! I hadn't thought to layer it with a t-shirt for the fall or winter, but I will now! Glad you enjoyed the pattern! 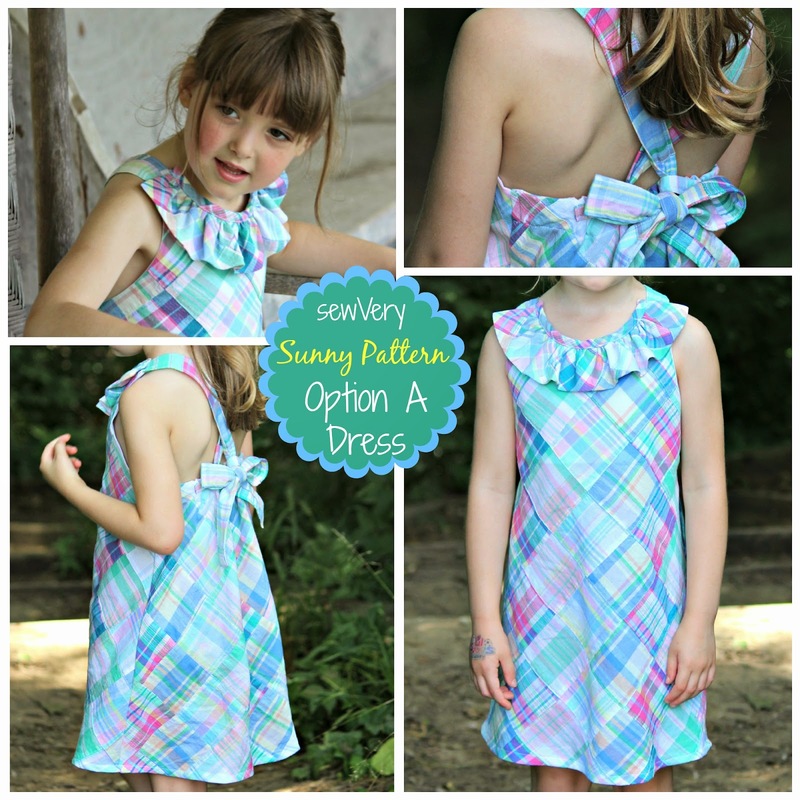 Our niece LOVED her dress, and we do too! This pattern can be fun with spring / summer fabrics, or a 'blank slate' when using solids; plus, it is easily adaptable to winter with a long sleeve shirt! I'm so glad you all liked it! Looking forward to seeing what you made. You two do such beautiful work!